The most Frequently Asked Questions and their answers. Are there any type of products you cannot supply ? Is your Trade Counter open to everyone ? Is everything you sell new ? 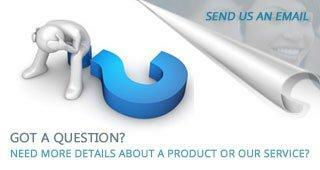 Would you be interested in buying any used sanitary ware ? Are your toilet seats supplied complete ? Can you deliver any items outside the UK ? I live outside the UK, Can I order goods for delivery to a UK address. Are toilet cisterns supplied complete ? Is there a charge for using Debit or Credit Cards ? Do your prices include VAT ? Do your prices include delivery ? Sadly we cannot supply : ceramic tiles, bath grips, any type of panel for curved or shaped baths, tap spares, shower spares, shower door spares, toilet seat buffers or bathroom accessories. The problem may also be caused by the security settings of your computer. You either have cookies disabled or you are using "in private" or "incognito" browsing which stops coookies being stored on your system. You will either have to change the settings (see your browser help page for assistance) or revert to normal browsing. YES. Anyone can purchase items from us. You do not have to be a Plumber or Tradesperson. Is every thing you sell new ? YES - EVERYTHING we sell is brand new. We do not sell any reconditioned, salvaged or used items at all. NO - not at all. We also do NOT purchase any items from non-trade sources. YES. 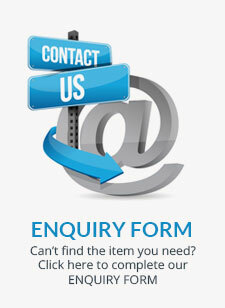 ANY toilet seat listed on our website is supplied complete. You do not need to purchase any additional items. A seat from us will always comprise of a ring, cover and appropriate hinge set. It is NOT possible to purchase rings and covers separately. We do have a very limited range of toilet seat hinges available separately. IN GENERAL NO : The cost of foreign currency credit card transactions and the difficulties in providing an After Sales Service / Returns facility mean that we do not, as company policy, ship any goods to any address outside the UK. It is now possible to order small items ( eg cistern levers ) for delivery by post to EIRE only . We cannot ship larger items ( eg wash basins, toilet seats etc). YES. Use the Checkout as normal. Enter your own address in the Billing Details and use the Delivery address postcode. Leave the United Kingdom default. Enter the Delivery Address as normal. As you proceed through the Check Out you will have the opportunity to enter extra information (eg Delivery address contact telephone number). When you arrive at the Credit Card Payment screen edit your Billing Address to ensure it corresponds with the registered address for the card your are using. You can then complete your purchase. It is possible to order some of our cisterns without cistern fittings. A fittings pack can be ordered extra at the time of placing your order. Where a cistern is supplied with cistern fittings this is clearly shown in the product description. Please check details carefully. You can use most Debit and Credit Cards to pay for any order placed in our online checkout and secure payment system or for any orders placed by telephone (We do not accept American Express or Paypal - sorry ). Yes - ANY product price on our web site includes the appropriate delivery or postage charge. The extra charges will be automatically added at the Check Out and details can be found here.